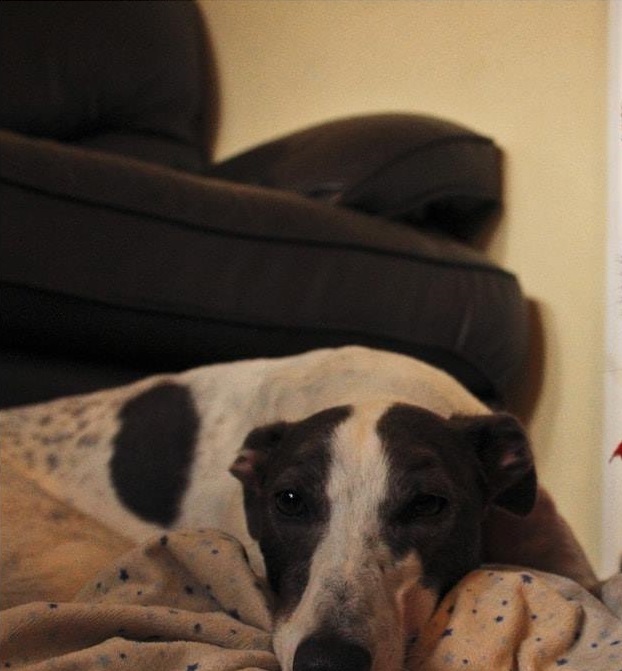 Twinkle is a 2 yr old beautiful white lurcher girl with black spots and freckles. She is very friendly, loves to play with other dogs and would be a super house pet. Twinkle is a lively gurl but she loves her snoozes and cuddles very much also. She came to us with a broken leg, but it’s all healed up now and you wouldn’t be able to tell when she’s bouncing around. 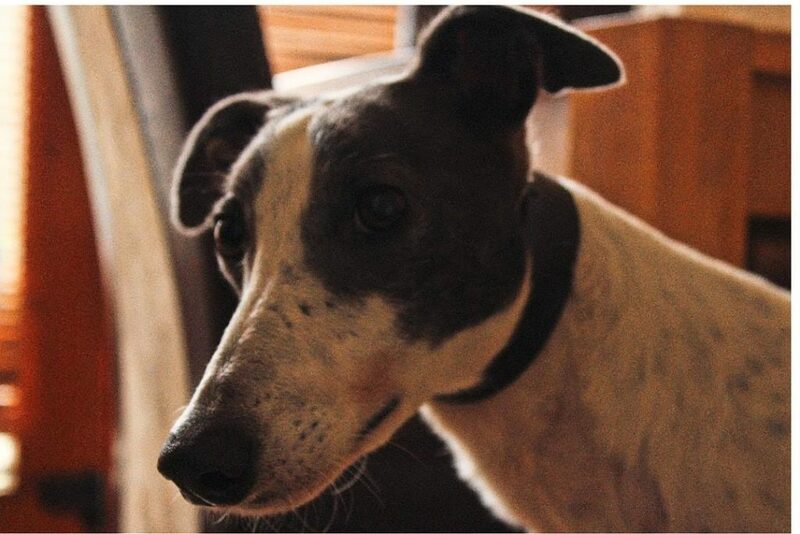 She prefers company so would be suited to a home with another dog or where her humans are at home most of the day.